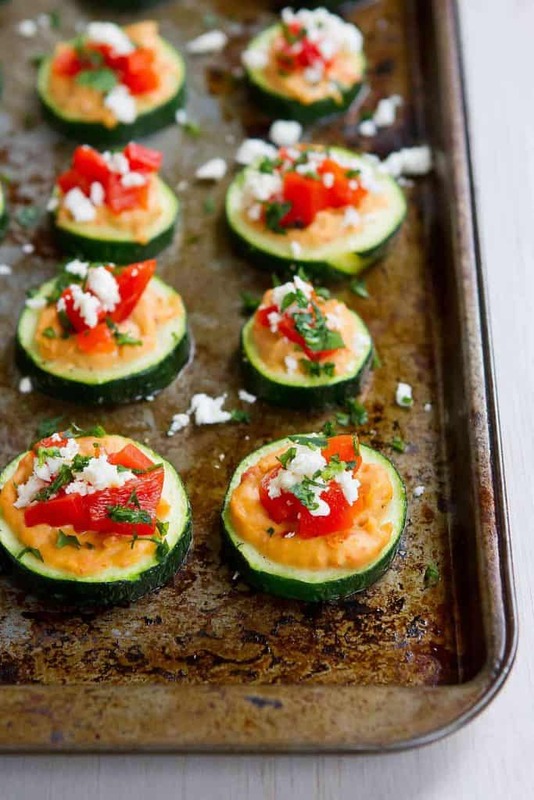 These Baked Zucchini Hummus Bites are fantastic for healthy snacking or appetizers! Only 39 calories for two of these vegetarian and gluten free bites. You know those times when you’re standing in front of the fridge, door open, staring into the abyss while trying to figure out what the heck sounds good enough to curb your munchies without leading you down the path of no return. You know that path I mean, when you start by munching on a carrot stick, then somehow find yourself pouring Doritos crumbs straight into your mouth? Any one of these healthy snacks would normally do the trick, but I had a limited selection of choices in the fridge, so concocted these baked zucchini hummus bites out of my supply. 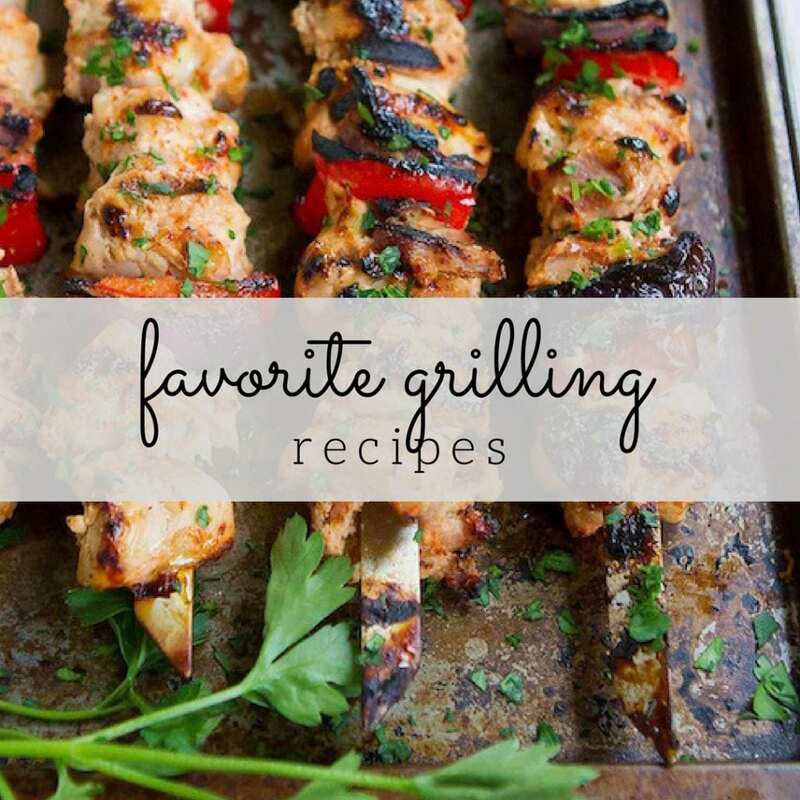 Honestly, you could top these bites with any variety of spreads and veggies. I happened to have roasted red pepper hummus in the fridge, so that’s what I used, along with some diced roasted red peppers (jarred in water or homemade), feta cheese and parsley. Kalamata olives or capers would be great, or a dollop of pesto on top of plain hummus. 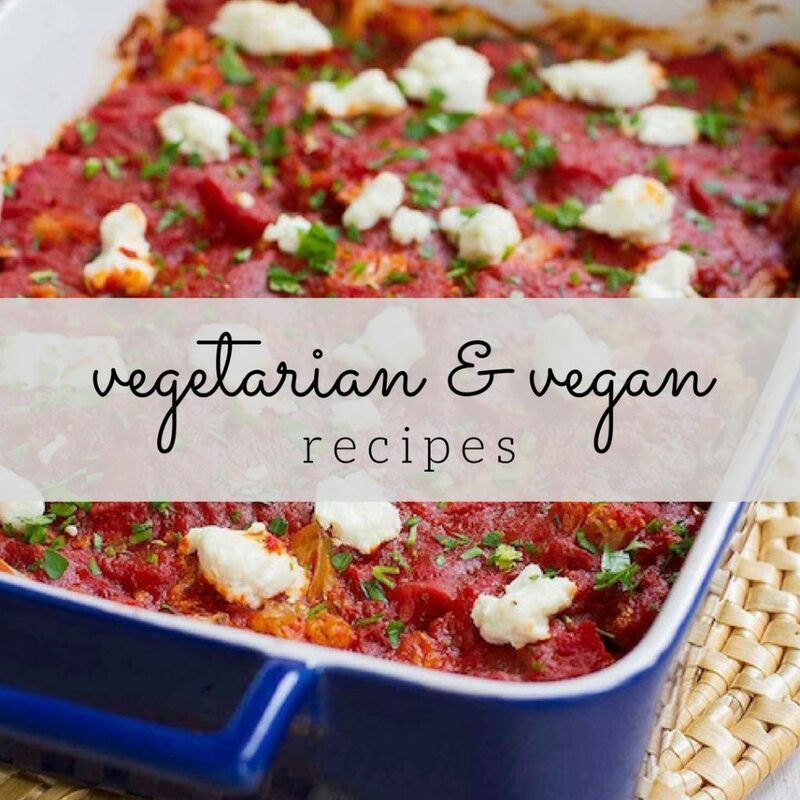 Make these bites vegan by foregoing the feta cheese or amp up the protein with diced salami or prosciutto. The sky’s the limit! One trick for these baked zucchini hummus bites: Bake the zucchini until just tender. The last thing you want is soggy zucchini rounds! Place the zucchini rounds in a bowl and toss with the olive oil, salt and pepper until coated. 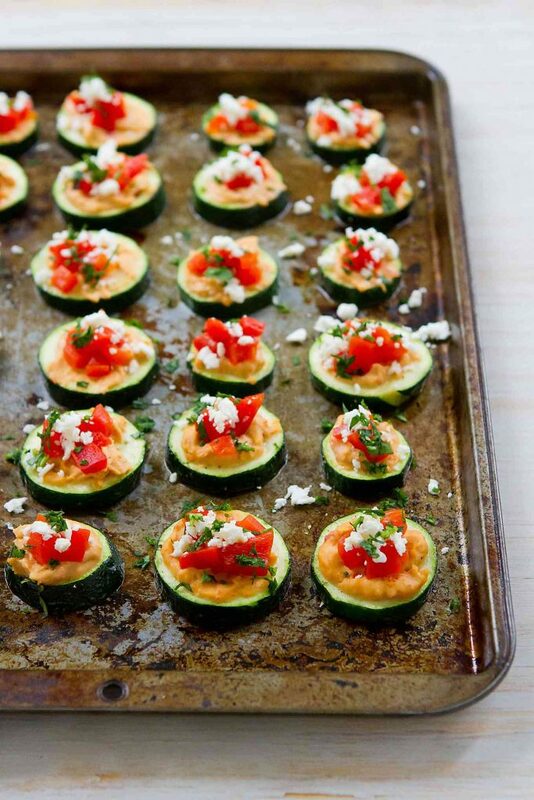 Arrange the zucchini rounds in a single layer on a baking sheet. Bake until the zucchini is just tender, 2 to 3 minutes per side. 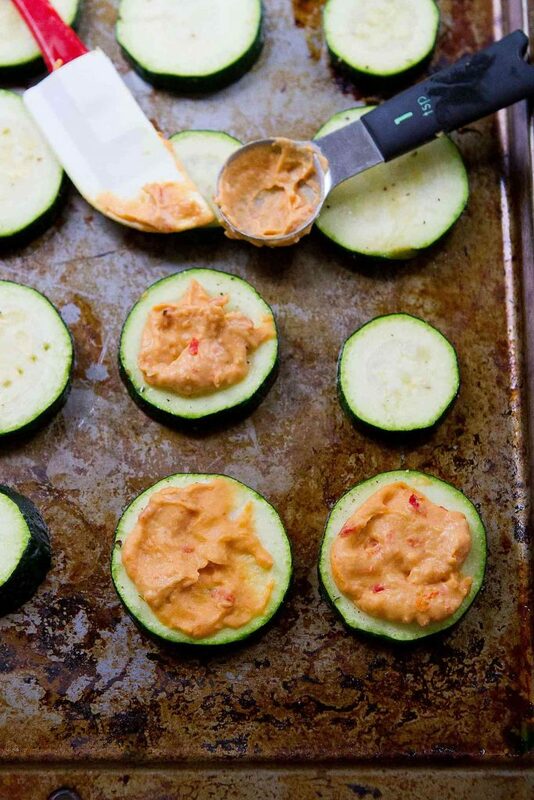 Spread 1 teaspoon hummus on each piece of zucchini. Evenly divide the roasted red pepper and feta cheese amongst the rounds. Garnish with the parsley. Serve. 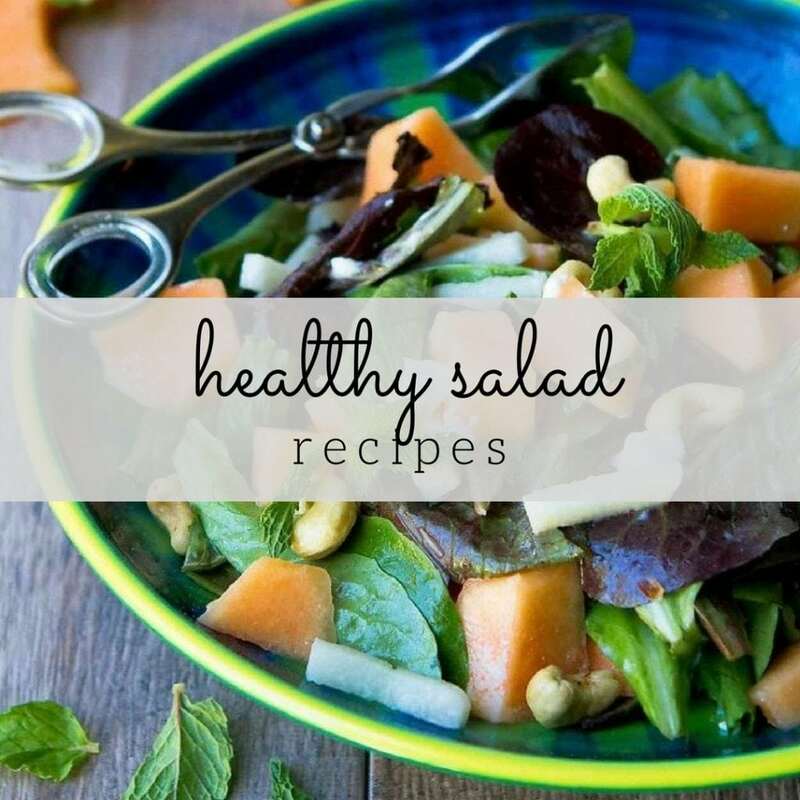 Looks like a great healthy appetizer. What a great idea! These are so pretty, and I bet they taste amazing, too! That’s me pretty much every day. And what a great little snack / appetizer! Yum! What a great snack/ appetizer!! I’ve got to try this!! I love these little bites! They would be perfect for parties!